Dream Come True! Monique is an awesome designer. Internationally renowned fashion and bridal designer, Monique Lhuillier, has recently announced an exclusive partnership with Blue Nile considered the premier online jeweler, to create an exclusive bridal jewelry collection. We can hear the “Ahhhh’s” in the air! Monique Lhuillier Fine Jewelry will launch in October (to coincide with bridal market) with an impressive assortment of engagement rings and wedding bands. Inspired by the designer’s romantic, couture bridal creations, the collection embodies the sophistication, elegance and femininity that define the brand. 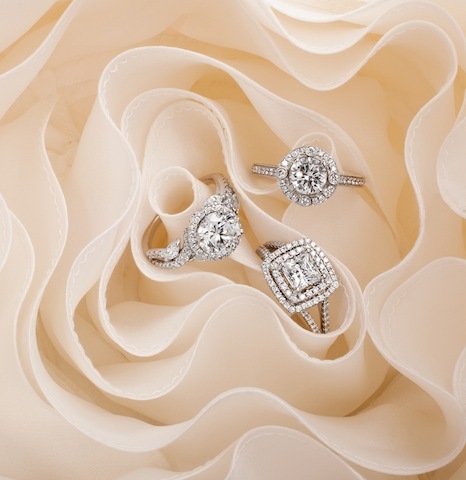 Reflecting Monique Lhuillier’s uncompromising standards, each piece will be set with Blue Nile diamonds, among the finest in the world, and the highest quality platinum.